Does Staging Matter for Your Summit County MLS Listing? Who Pays for What at Closing? Home sales in Summit County are definitely moving in a positive direction and all of us in the Breckenridge office are happy to see things shift in this direction. However, it doesn’t mean sellers should become complacent and expect their homes to be bought without putting in some effort. That’s where staging can really make a difference with your Summit County MLS listing. Today I’d like to discuss several staging suggestions to consider as you put your property on the market in the Breckenridge real estate market. It’s one thing to show potential buyers how the light shines into your home during the day. That’s an important feature, but what if your potential buyers don’t tour the home until after dark? Also, you never know if an interested buyer might drive by and notice the ‘for sale’ sign out front. 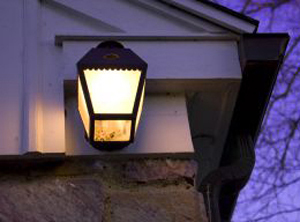 Adding landscape lighting can make sure your lawn and home look sharp at all hours. Also, your house numbers must be large and easy to read. If your potential buyers can’t find the house, they may arrive frustrated. Your home needs to be inviting and that warmth has to start at your front door. For this reason, you should have a clear walkway with great lighting. Another thing not to overlook is a working doorbell. Your doorbell should be operational and not cracked or visually displeasing. Finally, make sure the inside of your home is well lit. From the front to the back, the lights need to be on when you’re showing in the evening. You might even set timers so that your lights go on at dusk. Lighting may seem like a simple thing, but it can be a very persuasive tool when staging a house. It can create a certain mood and give potential buyers the chance to see your home’s finest qualities. Also, if done correctly, it shows off the living spaces as well. After you’ve spent years fixing and renovating to your home, you may think that spending more money on staging is a wasted investment. The fact is, though, that by making your home look good inside and out, you could differentiate your property from the rest of the competition. In developments, the floor plans and color schemes are standardized. Staging helps people see the appeal of your home and enables them to picture themselves in it more easily. You want your home to show nicely when buyers walk through. Therefore, staging could be the way to make your property really stand out, giving it a welcoming quality other listings may lack. As you can tell, there are a lot of great advantages to staging for your Summit County MLS listing. If you’d like to learn other ways to make your property come across in a positive light, get in touch. We’ve helped homeowners sell put their homes up for sale in Breckenridge for years, and we’ve even been ranked one of the best Breckenridge Realtors, so reach out if you’re thinking of putting your home on the market. Also, if you want to find a new Breckenridge home to call your own, I’m always ready to put together some listings that might suit your tastes. You’re welcome to browse through the updated listings on my website at any time, and when you’re ready to talk through your options or schedule showings, contact me at any time via email ([email protected]) or on my office line. I look forward to working with you!